In my time working in the medical industry the past eight years, I have been very surprised at how little attention a number of medical practices pay to patient retention. Many medical practices and healthcare providers have no idea when a patient leaves their practice to go to another practice. What’s more? More often than not, little or nothing is done to prevent it. When examining patient retention in more general specialities, such as pediatrics, family medicine, and obstetrics and gynecology, it appears that one in 10 patients leaves each year and doesn’t return. But keeping patients is by far much easier and cheaper than generating new business. Yet there seems to be so little focus on retaining patients. I think most practices will find that with a little bit of attention they can make a big difference in their ability to retain patients, ultimately making their practice more valuable in the new healthcare landscape. 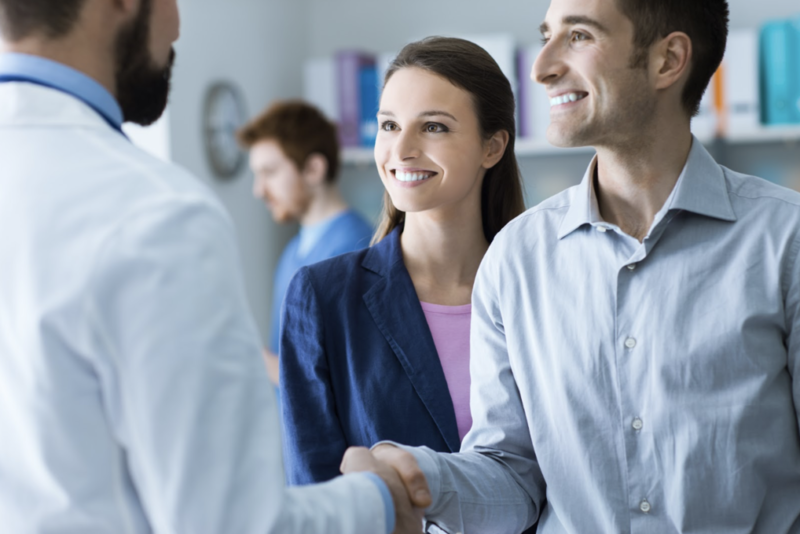 Let’s take a look at some simple but effective strategies to improve patient satisfaction and retention, and, ultimately, your bottom line. In a nutshell, patient engagement is critical to boosting patient retention — and patient satisfaction, for that matter. Patients need to know not only that they can trust their healthcare providers to provide high-quality care, but they also need to know that you care. Send out a birthday card or note. This is an easy way to show patients you care about them. Even better? You can automate these. Call — or even automate a text or email — after a major procedure. One particular example that comes to mind for me is a vasectomy. After I had this procedure done, my doctor did a great job of checking on me. He called to make sure I was okay, which made me feel well cared for. While personal outreach is great, most providers can automate a text or email for specific types of procedures, making their patients feel special and well cared for. This simple automation not only saves time but also helps your office keep patients coming back and generate more referrals. Schedule follow-ups. Do not let your patients leave the office without scheduling their next follow-up visit — even if it is a year away. If they won’t go ahead and schedule, set up a recall to ensure you get them back in. You can use our reschedule system to get those appointments rescheduled when doctors schedules change. Implement an automated reactivation campaign to prevent patients from falling through the cracks. Quite often, you can automate this and get a good number of patients back in, and then potentially have staff reach out to those patients who weren’t contacted because the automated process didn’t work. Additionally, this would also be a great time to inactivate those patients who have left for whatever reason (e.g., moved, changed practices, etc.). Set up a regular cadence of some kind with those patients who have serious medical conditions and could use your support or care. Consider sending out a quarterly email or text to your patients with diabetes, encouraging them to eat healthy, to exercise regularly, and to contact the office if you are needed. There are a number of things you can do to show you care that don’t take a ton of work or time but give patients an opportunity to reach out if they need your help. Get feedback, and respond. Set up a simple feedback system that enables patients to easily inform your office when something bad occurred and enables your practice to take action immediately. This simple feedback system can help you retain many patients in a very efficient and effective manner. See patient messaging and/or surveys. Try to not make patients wait. Nothing is worse that waiting for hours to see a provider or to even speak to someone on the phone. If your practice is busy, consider reducing the number of patients you take and charging a fee to be part of your practice. In cases where that is not possible, think about hiring physician assistants or nurse practitioners to help as much as possible so patients feel respected and taken care of. Listen. Most people want to feel heard and truly listened to. Doctors who do this well and make sure people feel heard, respected and cared for will ultimately always have patients — and lots of them. Try some of these tips out, and let us know which ones helped you boost your patient retention rate.